Following the successful printing and acclaim for the Gig Seafarer Children’s Stories, the Gig and the Amazing Sampaguita Foundation Inc. has embarked on the second wave of the Gig Seafarer Children’s Stories Contest for announcement of winners no later than September 30, 2011 and to be published by November 30, 2012. 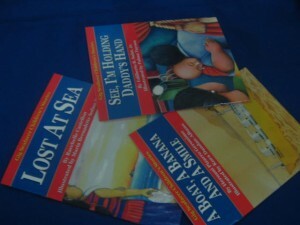 These books have the unique claim to being the first in the world, paying attention to the situations of Filipino seafarer families particularly as it relates to the children. The first set of Gig Seafarer Children’s Stories is now being translated into Hiligaynon, Tagalog and Cebuano. One book ‘Lost At Sea’ has been adapted into a short film entitled Laot which ranked 19 out of 79 entries in the genre at the Damah Film Festival in Hiroshima last year. The Gig Books series is being entered in the National Book Development Board National Book Awards for 2012, allowing seafarer children’s stories a place in the world of children’s story writing. From the Filipino seafarer community to the rest of the world, the Gig Seafarer Children’s Stories bring the values which are true and good about the Philippines.